Bottom Line: Sure, it can be used as a temporary quick fix for a bloated belly — the obvious alternative being proper nutrition and exercise. However, It’s pricey for tea, and the results aren’t sustainable without changing your lifestyle habits. 2. History of the Brand: How Did SkinnyMint Tetox Start? 8. Does SkinnyMint Nutrition Work? 13. Any SkinnyMint Nutrition Lawsuits? 16. Would SkinnyMint Work with Your Diet? 17. Verdict: Would I Recommend SkinnyMint Tea? Goes with any diet: gluten-free, vegans, etc. 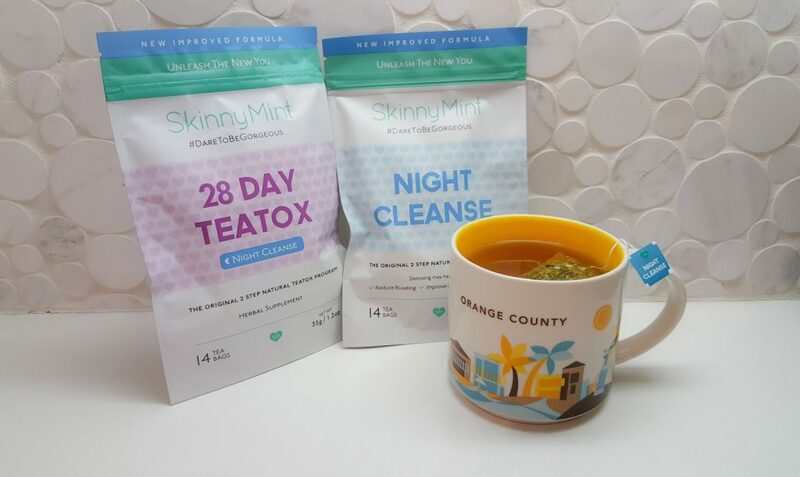 SkinnyMint is a detoxifying tea that is taken in two steps. The brand says it is packed with healthy ingredients, however, one of those ingredients is Senna leaf which is not recommended for long-term use because of the chance of dependency or serious side effects. When our research team discovered this ingredient they wondered what else users of SkinnyMint should know about this product. We looked for scientific evidence and relentlessly searched customer reviews trying to find evidence that SkinnyMint could live up to its claims. We’ve summed up our findings in this for SkinnyMint Teatox Review. A warm cup of SkinnyMint tea. SkinnyMint is a brand of tea that is not only known for detoxifying, but also for burning fat. 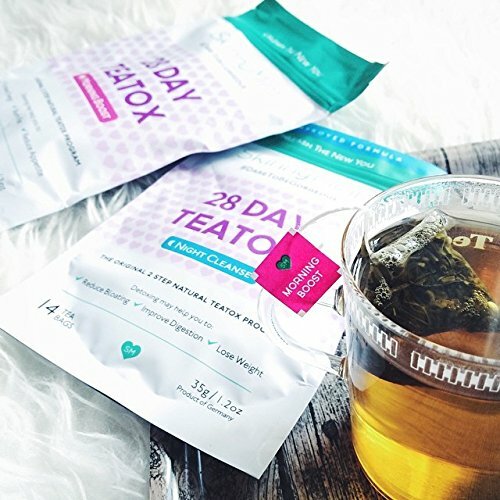 With their two-step teatox (tea+detox) system in place, they say they are the brand that started the whole slimming tea trend. 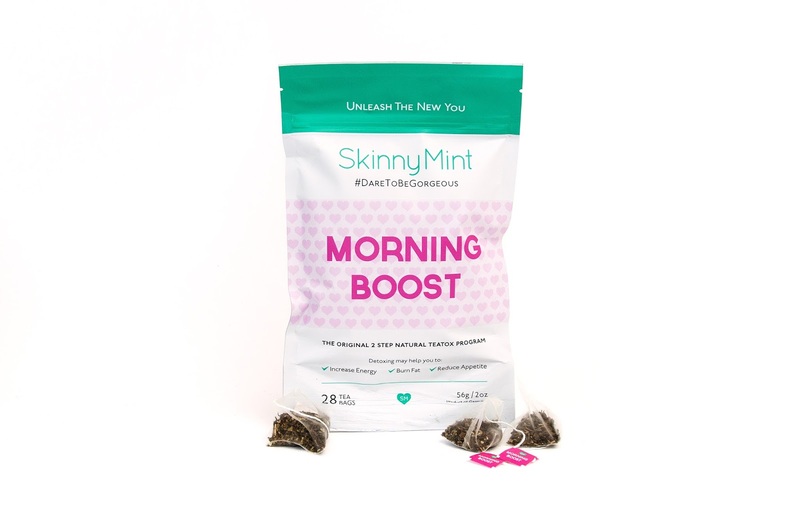 In 2014 the SkinnyMint brand came into Market. The main corporate office is located in Asia in the city of Singapore. There is also an office in London which is in Europe, and in the United States, they maintain a warehouse in Reno, Nevada. SkinnyMint comes in two package sizes. There is a 14-day package in a 28-day package. The smaller 14-day package is used as a starter. It contains 14 Morning Boost bags of tea, and 7 night cleanse bags. The second package is the 28-day package. It includes 28-morning boost tea bags and 14 cleansing bags for the night. Skinny mini also has an offer called the Bestie Value Teatox package. It comes complete with 56 Morning Boost and 28 of the Night Cleanse tea bags packages. If you prefer you can also buy the morning boost blend separately after finishing the detox program. Helpful tip: you can replace your morning coffee with it. Highest quality all natural herbs. Guarana Leaves- Used as a stimulant and containing theobromine, theophylline as well as caffeine, many other weight loss programs have guarana leaves in them. Nettle Leaf- it is a good source of fiber and has been used many years as a food and medicine. It is also been known to be used to treat cardiovascular and locomotor system, as well as urinary tract disorders, kidney disorders, gout, hemorrhage, flu, and gastrointestinal tract ailments. Yerba Mate Leaves- thought of as a stimulant yerba mate is used as a laxative to help speed weight loss, and has been used to treat bladder and kidney stones, and urinary tract infections. Yerba mate leaves contain caffeine and when used with damiana and guarana are effective for weight loss. The metabolism enhancing ingredients phenolic acids and flavonoids help inhibit pancreatic lipase and lipoprotein which reduce as dietary fat absorption. Green Tea Leaves- also containing caffeine green tea leaves help to stimulate the brain and nervous system giving temporary relief of tiredness. It is rich in antioxidants because of the large quantities of catechins it contains. Even though it promotes weight loss it can be harmful to the liver and even toxic in high doses. There is orange flavoring in the Morning Boost Teatox. Licorice Root- licorice root is often used to help people with irritated bowels. It soothes the digestive tracts mucous membranes and is also helpful to people with constipation. 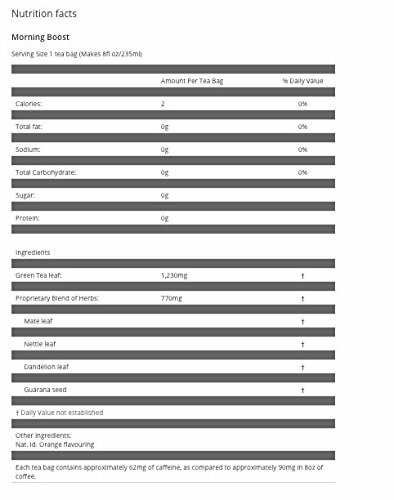 Psyllium Seed- used as a laxative, psyllium seed is a soluble fiber. It helps to absorb water thereby promoting weight loss. It is also helpful with high blood pressure, easing diarrhea, and stabilizing blood sugar. Ginger Root- used in laxative preparations, Ginger is also an ingredient in anti-gas medications and antacids. Hawthorn Berry- it is suggested that people with high cholesterol levels use hawthorn berry. It is also used to help people with the circulatory system and cardiovascular problems as well. Peppermint Leaves- acting as a stimulant to promote good digestion through the release of digestive enzymes. Peppermint has lots of other benefits as well, such as promoting good liver function, reducing nausea, and as a bacterial agent. It is commonly used in weight loss. There is also running flavoring and orange leaves in the Night Cleanse. Because these ingredients are complementary to each other the company has stated that the blend produces a “food synergy”. These ingredients work together more efficiently to produce results then if used by themselves. Both the manufacturing and packaging of the SkinnyMint tea is done in Germany. This product is useful to both men and women alike, but it is more widely used by women. However, SkinnyMint does make it clear that they are primary ingredients are geared towards women who are more body conscious than men most often. Senna leaf, ginger root, orange leaf, lemongrass leaf, peppermint leaf, licourice root, hawthorn berry, psyllium seed. Reviews say that the high caffeine content in the Morning Boost Tea is said to increased metabolism which helps promote weight loss. The detoxifying process occurs naturally in healthy people. If people are healthy and have good liver and kidney function no detox teas are needed for detoxification to take place. A healthy diet is always more critical than a detox program. Consumers give Skinnymint High Praise when it comes to taste. In fact, out of 1094 customers, 84% of them thought that the morning boost tea tasted great. They thought it was fresh fruity and tropical. While the Night Cleanse was said to be fresh and earthy. 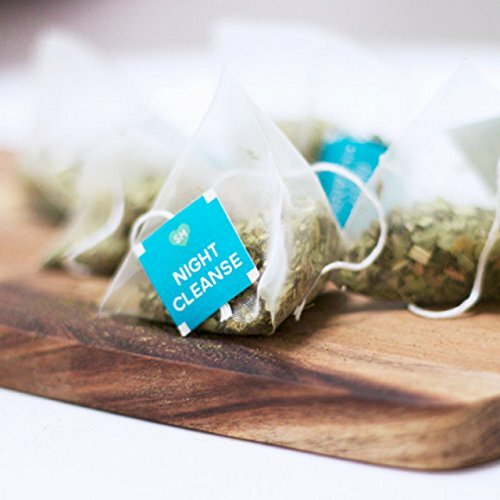 The Night Cleanse has a very powerful ginger taste to it, which I personally found relaxing in the evenings. 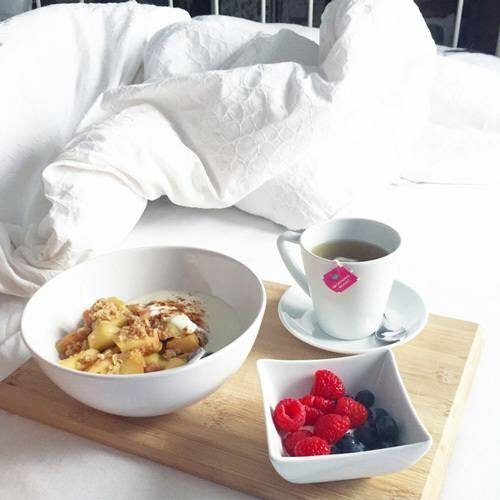 While the Morning Blend is designed to kick off your day with the taste of green tea with fruit in it. 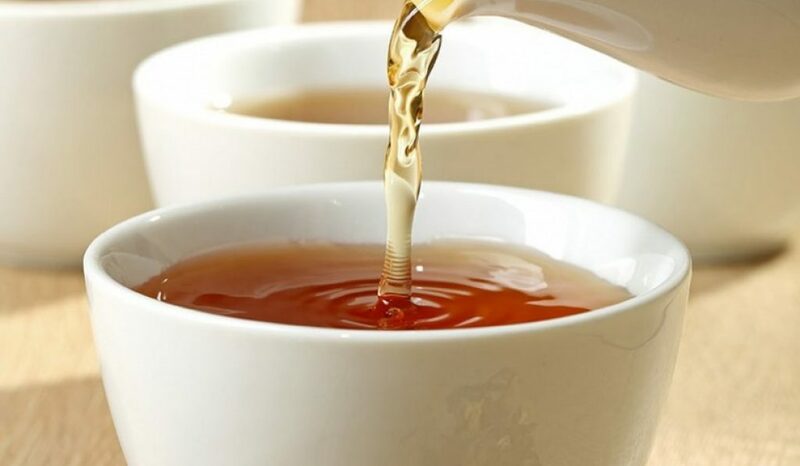 Tip: to avoid making the Morning Blend taste bitter, don’t use boiling water to brew it. The main side effect of the tea is its laxative effect which may cause discomfort and leave the consumer inconvenienced at times. With a high caffeine content of 80%, SkinnyMint may not be suitable for everyone. Though it is all natural people with caffeine sensitivity may have issues. SkinnyMint also has Senna leaves in it. Though some may have no ill side effects from this, others might suffer from dizziness, diarrhea, vomiting, dehydration, or severe cramping. It may also cause increased heart rate and anxiety. SkinnyMint recommends that women who are breastfeeding or pregnant not use their tea. 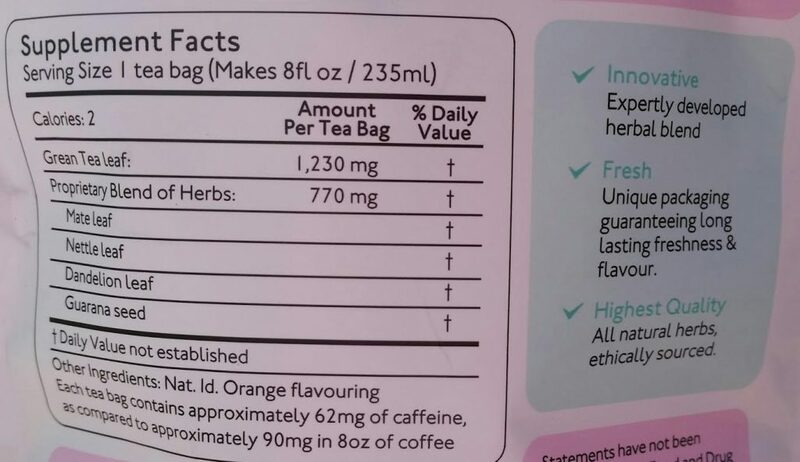 They stated that the tea may be too strong for new moms, however, they didn’t mention that the laxative effects and caffeine content could be harmful to mothers. SkinnyMint suggests that anyone under 15 years of age should have permission from their parents before buying or using the teas. 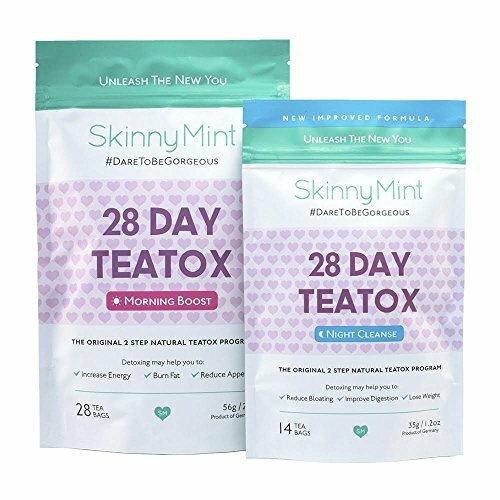 SkinnyMint also suggests that consumers always check the ingredients of the two tea blends and recommends at least 6 weeks between using SkinnyMint Teatox Program. There was one complaint filed on the Ripoff Report which had to do with a customer paying and never receiving the product. There were no lawsuits found. The SkinnyMint Teaxox worked great! I felt more energetic and I even slept better. Don’t waste your time. This made me sick to my stomach and I did not lose a pound! Other like products include Body Slim, Lyfe Tea, Yoli Better Body System and Team Colon. With many of the same ingredients as SkinnyMint, Lyfe Tea is very similar. 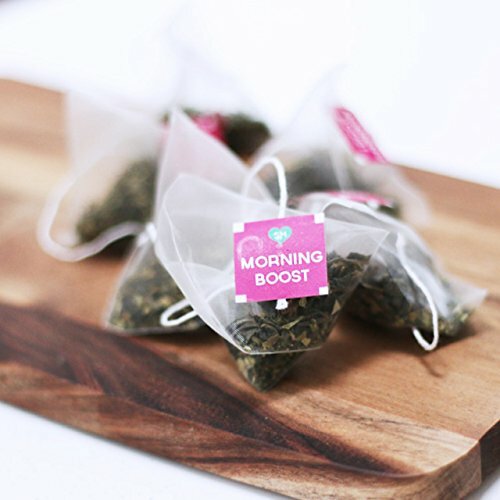 It uses the morning and evening blend of Teas just like SkinnyMint. With the Morning Blend focusing on boosting metabolism and the evening blend on detox. Consumers gave some negative feedback from Lyfe Tea complaining of body aches and headaches after consumption. Many consumers said it did not affect them at all. Because the ingredients are all natural, SkinnyMint will go with pretty much any diet–assuming that diet allows for tea! Is SkinnyMint tea good for weight loss? Although it is good that it has some natural ingredients, the lack of scientific data and clinical testing to prove that it works gives us reason to be concerned. We are also put off by consumers who complained about the taste in side effects. 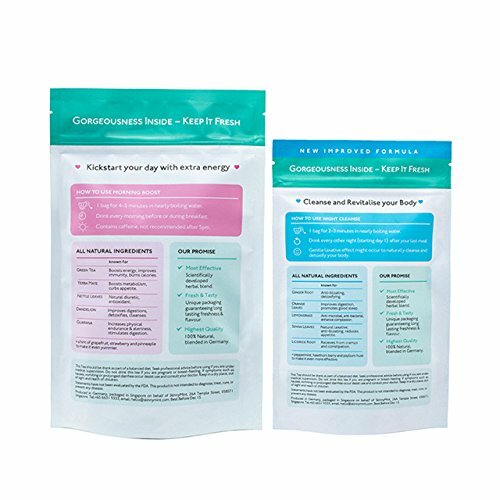 Anyone interested in fat loss may wish to find a supplement with reputable ingredients and fewer complaints of side effects. All in all, if you’re still interested in trying out SkinnyMint Tea there are many positive reviews and celebrity endorsementson their website. Although they don’t offer a free trial there is a 30% off sale currently on their site. Just be sure to make sure that you keep your goals realistic. Whatever you decide to do be smart, say, and give us an update on how it goes.